One of the best things about really fresh, high-quality ingredients is that often, very little has to be done to them to make a dynamite dish. A quick sauté, a drizzle of first-rate olive oil and some sea salt is often all that’s necessary to make good fruit and veggies great. It’s like that classic scene in Willy Wonka and the Chocolate Factory, when Gene Wilder explains the genius behind his lick-able wallpaper: the oranges taste like oranges, the pineapples taste like pineapples, and the snozzberries taste just like snozzberries. I sometimes think of that scene on my weekly trips to the farmers’ market – surrounded, as I am, by fresh, awesome produce that tastes exactly like it should. This week, however, I remembered that scene for a different reason. In Union Square, on a table at one of my favorite market stands, was a single basket of the oddest-looking fruit: pale green orbs the size of cherries, each sheathed in a leafy parchment. Intrigued, I asked the farmer what they were. She shrugged, and pointed to a half-legible hand-written sign; “something-erries”. More intrigued, I shucked one out of its skin and popped it in my mouth. It burst like a baby-tomato, but tasted strikingly sweet and a little bit earthy, like nothing I’d ever eaten. The elusive snozzberry? I bought the basket. I smiled and popped another one in my mouth, “Caped gooseberries. 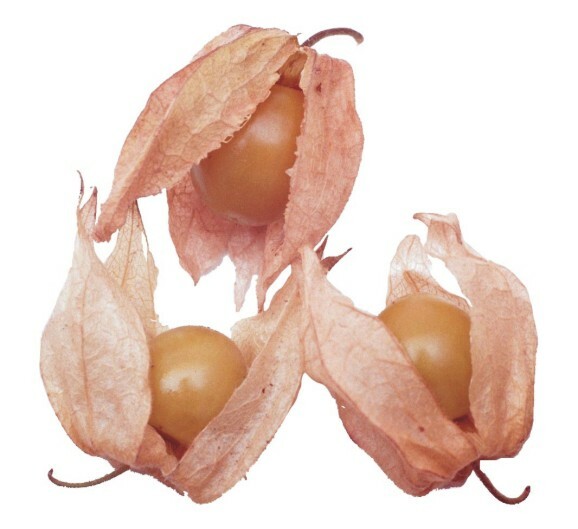 They taste exactly like caped gooseberries.” In other words, delicious.